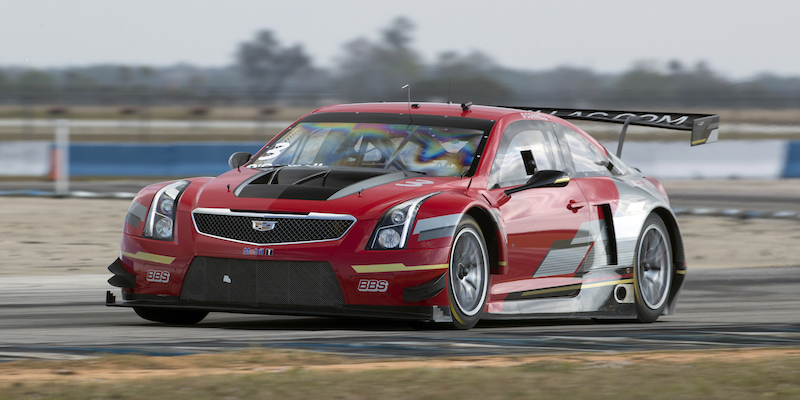 Michael Cooper and Johnny O’Connell will continue to race with Cadillac Racing this year in the 2017 Pirelli World Challenge season, however a number of changes have happened within the Cadillac camp during the winter break. O’Connell and Cooper’s ATS-V.R’s have adopted new liveries for the 2017 season, with O’Connell’s car remaining red and Cooper’s switching from last year’s dull black look to a more upbeat blue livery. The pairing posted five wins for Cadillac in 2016 (three for O’Connell, two for Cooper) and are eager to put on an even better performance in 2017. Another change for 2017 is the addition of Wayne Taylor Racing’s Ricky and Jordan Taylor to the Pirelli World Challenge driver roster. The brothers, who are fresh off an overall win at the 2017 Rolex 24 at Daytona, will race the two ATS-V.R’s in the five SprintX races to be held at Virginia International Raceway, Canadian Tire Motorsport Park, Lime Rock Park, Utah Motorsports Campus and Circuit of the Americas this year. The 2017 Pirelli World Challenge season will kick off on March 10th when the series follows IndyCar to Florida for the St. Petersburg Grand Prix.